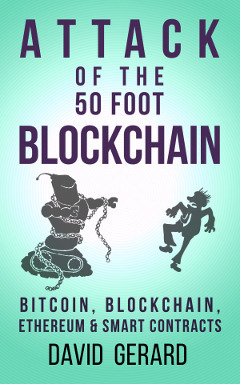 reddragdiva | Attack of the 50 Foot Blockchain: pre-orders up, release July 24! Is it going to be available in non-Amazon form? Also, your links are borked. The link to preorder goes to your webpage, while the link to the new excerpt goes to Amazon. yeah, will probly put it on Smashwords. Paperback will be CreateSpace though. Rather than Smashwords, I'd use Draft2Digital, for some of the reasons Kris Rusch talks about in http://kriswrites.com/2016/09/21/business-musings-good-things/ . I've done my last couple of books through them, and plan at some point to pull my Smashwords ones and re-upload them there. Five years ago, Smashwords was the best possible option for self-publishing ebooks to non-Amazon stores. However, it hasn't updated anything in about a decade, and Draft2Digital is better on every level. You can get paid monthly via Smashwords - I think you just have to pick PayPal. What Draft2Digital, at a glance, visibly lacks is its own storefront. Smashwords is also hella useful because you can use its couponing system to give away freebies or run sales, and because your book is instantly available on its store, instead of taking a bit to propagate to all the stores. The other good thing about Smashwords is that it's got a brand name, for people who refuse to buy from Amazon. SmashWords now lets you fill out the US tax stuff online, same way Amazon does. They also pay monthly-with-a-delay via PayPal. So I just put it up on SmashWords.